BCDB Rating: "How To Kiss" has not yet received enough votes to be rated. This page has been viewed 24 times this month, and 1695 times total. Awards: Best Short of 1989, Aspen Film Festival. Originally Released in 1989 (Estimate). 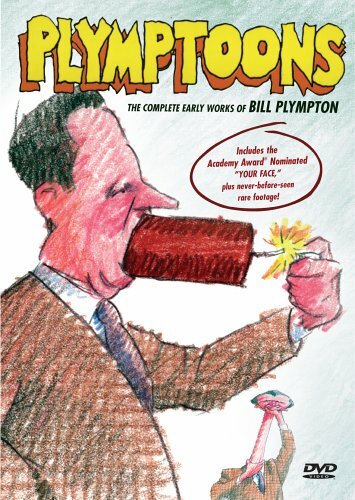 One of the most outrageous of Bill Plympton's shorts, this film uses his classic colored-pencil technique. Do you have anything to add to this page? Have we made any mistakes... or do you have any additional information about How To Kiss? If so, we would love to hear from you. Please send us a quick note with your additions or corrections to this page, and we will make the corrections as soon as possible! Do you love How To Kiss, or do you think it is the worst cartoon ever? Let us know what you think! Surely you have an opinion... so share what you think. Take a minute and post your own comments about this cartoon here. How To Kiss by Big Cartoon DataBase is licensed under a Creative Commons Attribution-NonCommercial-ShareAlike 4.0 International License. Please help support BCDB with a donation or a subscription to the website. Be sure to note your username in your donation and we will remove all ads on the site!